I had some time to reflect over the festive period on how we have dug ourselves into this Brexit mess and more importantly how we start to dig ourselves out of it. Whilst our national debate has been about backstops, trading rules and other technicalities, I came to the conclusion that a much bigger concern is the responsibility crisis that has led to a breakdown in trust throughout our society. Thinking back to the referendum campaign: are there any core claims left that have credibility? The money, the easy trade and separation deal with the EU, the global trade deals piling up on our doorstep. Were those making these promises convinced that these could be met? Or were they being irresponsible and misleading our nation? Of course, I know that the same can be said for the arguments from the other side too, but that doesn’t make it better. A debate fought on false promises and media hype has created a significant breakdown in trust. The result? People no longer know who to believe, mistrust experts with evidence and have lost confidence in our institutions. I reflect on the behaviour of our elected representatives during the negotiations. When watching the House of Commons debate on the long awaited PM’s Brexit deal it was like watching an embarrassing chaotic circus. The jeering, the insults, the inappropriate jokes. And it went on, the ill-timed vote of no-confidence, the obstructions, and no better suggestions. It all adds up to an outrageous level of disrespect against those who are trying to make some progress, having spent years negotiating a deal in near impossible circumstances. What we forget is that our European partners watch these events. They have invested massively in these negotiations too, and they view the lack of maturity and seriousness in this debate as wholly irresponsible. I have had many colleagues’ watching in from the EU ask me why our Parliament is not taking this seriously. Especially as it is about their prosperity and future, as well as ours. And right now, we have promises of a managed no-deal, which doesn’t just sound stupid, it really is! And landing a new better deal at this late hour is an equally irresponsible claim. And here is the real problem with all of this. Those politicians behaving in such irresponsible ways at a time of national crisis are the ones setting the rules for business and society to be more responsible. This simply will not work when those writing the rules are not being role models for responsible behaviour. It does the opposite and indeed this responsibility deficit has eroded trust across society and thrown us into crisis . But, I haven’t yet given up hope, because, like all of us, our Parliament will also have been reflecting over the festive period. Every single MP must now think very carefully about what, at this point of crisis, is the most responsible action to take. And with that comes one very important principle for responsible deal making: not to vote a deal down unless you can genuinely come up with a better, realistic alternative, one you are 100% confident you can deliver. I believe there are only two realistic and responsible options left. The PM’s deal or a ‘People’s Vote’. It is now over to Parliament to do whatever they think is right and responsible for our country and not for them personally, not for their ideological principles, or for the short term political gain of their party. As it stands right now the only deal on the table that I believe can work for business – in time for March 29 – is the PM’s. It provides us with some much needed certainty and allows us to invest in our businesses responsibly and for the long term. This is my personal view based on what I believe is best for business, the economy and prosperity for all here in the UK and I make a very definite promise: that I have arrived at my view responsibly and after much deliberation. So, as we commence 2019, I just have one wish, and that is for us all to reflect on our own actions and take our responsibility for society, for the environment and for the future of our next generation more seriously. If we do that, inject some calm reason into our national discourse, we will start to repair the damage that Brexit has caused, here and with our European partners. We can then focus on much more important long-term business issues, such as building a smarter, well-connected North, a stronger position in this fourth industrial revolution and a truly green economy. That is where our future prosperity really lies and whatever the outcome, the EU will not stand in our way! We have hit a very important milestone – two years after the Brexit vote and I am sensing an increasing mood of unease and uncertainty among business about the lack of clarity on our future economic and trading arrangements with the EU after Brexit. To be clear, whilst I am sad that the UK is leaving the EU, I do not think this decision can or should be reversed. Like other businesses, Siemens has tried to engage with those involved to find new trading arrangements that work and we are doing our internal preparation to prepare for the possible final outcomes. We have also worked with the government on its industrial strategy, to help develop post Brexit opportunities. The shape of that final Brexit outcome however needs to be a practical one. One that allows us to trade with minimum friction. Just for Siemens this requires us to move thousands of parts across borders every day, and with that build and keep critical UK infrastructure working. At the whole economy scale the practicalities of this are enormous. As an example, if every truck passing Dover, would just take 2 minutes more to process, this would lead to a 17 mile tailback for every day that happens. I used the opportunity today to argue that the time has come for more realism in the debate and for some honesty about the choices involved. In particular, I warned that business needs to see progress on the negotiations by October and that the Government must keep open the option of participation in a Customs Union with the EU in the absence of a better and workable solution by then. The honesty needs to come from those who continue to argue that we can simply walk away without any consequences. This is deeply irresponsible. 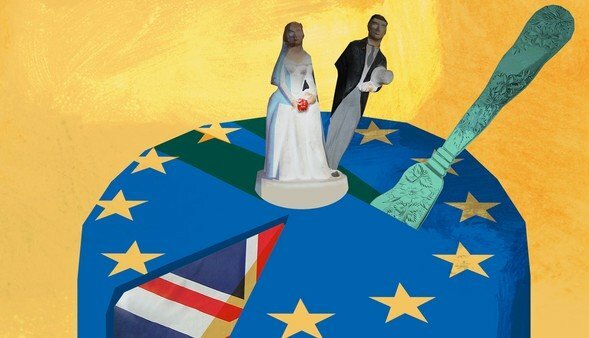 The UK’s economic, trading and legal system is inextricably intertwined with the EU. We see that every day at Siemens, with so much of our business operations, or those of our customers, undertaken seamlessly under the auspices of Single Market regulation and through participation in the Customs Union. You cannot just unpick this without consequences and two years (since the referendum) was never going to give enough time to prepare, even though promises were made to the contrary. Of course 52% people voted to leave but we know that many of those were borderline in their decision. Many were neither hard Brexiteers or ardent Europhiles. And only last year we had an election which failed to give a definitive answer about the type of Brexit that people wanted. And whilst the outcome of the referendum was clear, it was not decisive or indication enough of the type of Brexit, hard, soft or whatever you want to call it. 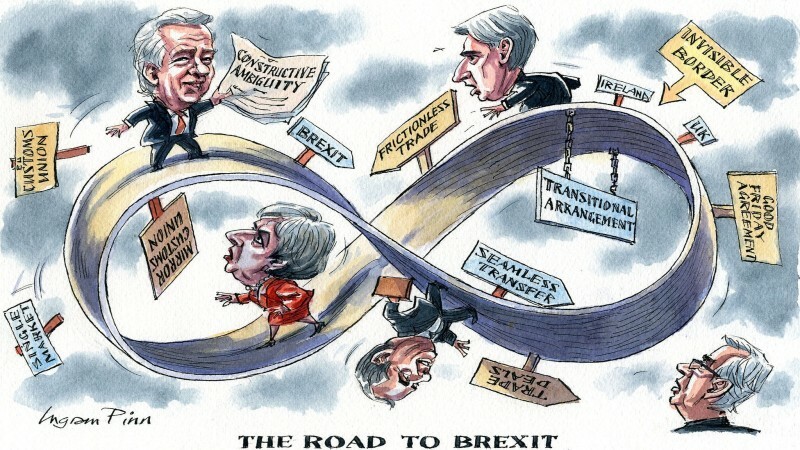 And I think with the increased knowledge we have now, the obvious and clear choice is to face Brexit realities and shoot for a sensible Brexit, not a hard one. We know now that we have been sold a crock. None of this is as easy as promised. If you leave the single market, there will be non-tariff barriers to trade with our biggest market and, despite the Government’s very significant efforts for two years now to find alternative solutions, they are not in sight, and a Customs Union is still the most effective way of avoiding damaging customs costs and delays. In any case, the likelihood of a practical and agreed alternative being in place at the end of a transition period now appears very low and the UK should consider applying to remain in a Customs Union, until and unless an alternative solution can be agreed. I understand some of the concerns about this in terms of making it harder to do FTAs with other countries (although as others have pointed out it doesn’t stop it completely). But all the evidence points to the benefits of those FTAs simply not outweighing the costs of leaving the Customs Union. And of course the promises of nations queuing up to do attractive trade deals with us, has been proven to be another broken promise. Moreover, there has never been anything stopping us trading much more with countries like the USA and China. Why does Germany trade 5 times more than we do with China, when they have exactly the same trading terms with them than us? The answer is simple, they have over decades innovated better, invested better and made more things to export. So, that is where I recommend we place our focus. To help support Industry create a stronger global leadership position in this 4th Industrial Revolution, and through that innovate, create and make more things that we can trade with the world. And that is why I have placed my energy and focus into this, by leading the Industrial Strategy Made Smarter review, which you can read more about here. I am delighted that this work is receiving positive support from Business and Government alike and I think more effort and funding here combined with a sensible Brexit, gives us a tremendous opportunity to reek the economic benefits we so desperately need to pay for the every more thirsty public services. It will be the prosperity created by business in this 4th Industrial revolution that will fund our NHS – not the famous £350m, which has turned out to be yet another broken Brexit promise. I want to reiterate that I have no ambition of standing in the way of us leaving the EU, but it is time, two years on, to face the realities. A hard Brexit puts ideology over practicality and what is best for our country; just the thought of it is already harming the economy. Implementing it will harm it even more. Now is the time for pragmatists, practical people, and, dare I say it, experts to sort this out and create a sensible Brexit. Otherwise our current circular debate will tear us apart internally and ruin our reputation as a pragmatic nation of innovators, traders and diplomats. Today is #IDAHOTB – International day against Homophobia, Transphopbia and Biphobia. 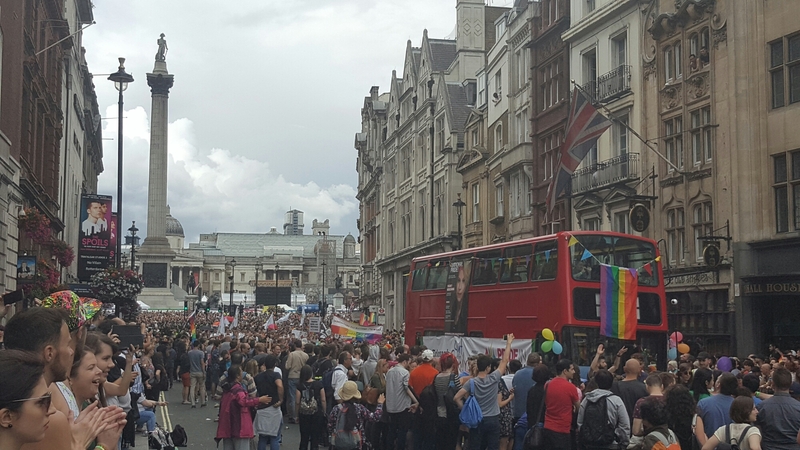 In many ways we are extremely lucky in the UK with the progress we have made regarding #LGBT+ equality, and my thoughts on this day are very much with those living in countries less fortunate than myself and who are discriminated against and have no legal or community support at all. Difference is something to be revered rather than feared. Many improvements have been made at Siemens in recent years to make the company a more welcoming place, but Juergen Maier, CEO of Siemens UK, informed by his personal experience, explains why more must be done to reflect a changing society. Ever pretended to be someone you’re not, just so you can fit in? Juergen Maier knows what it’s like; after all, he hid his sexuality from colleagues for over 15 years. Fearful that outing himself as a gay man would impact his progression within Siemens, he decided for “right or wrong reasons” to stay silent. Without role models, without people “like him” working alongside him, he felt it was safer to play into people’s assumptions. He was climbing up the career ladder, but didn’t want to risk everytvhing he’d strived so hard to achieve. “At that time, I thought it was easier for me to pretend to be heterosexual as opposed to expressing who I really am,” he admits. Not being truly authentic, and feeling pressured to conceal an aspect of his character that he should have felt comfortable — and proud — to reveal, was becoming too much. It was halfway through his career, when he was 15 years in, that he finally had the confidence to claim — and own — who he really was. 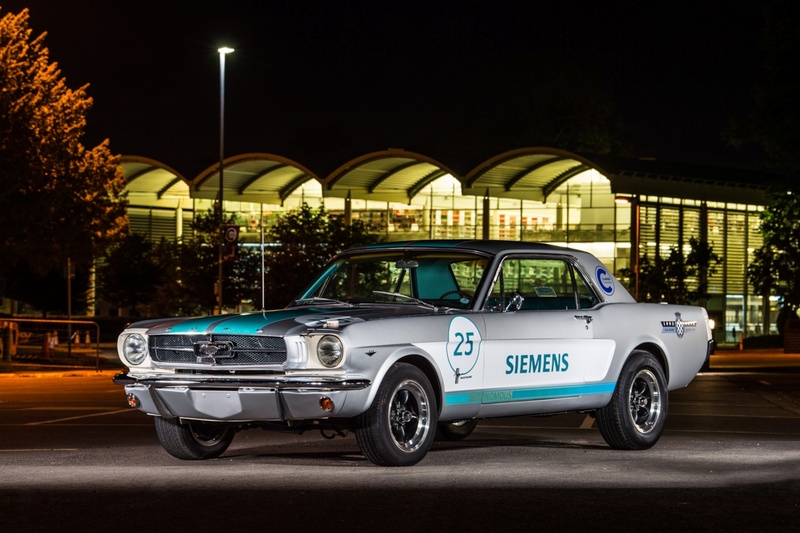 Juergen’s experience is, Siemens hopes, an example of a bygone era. 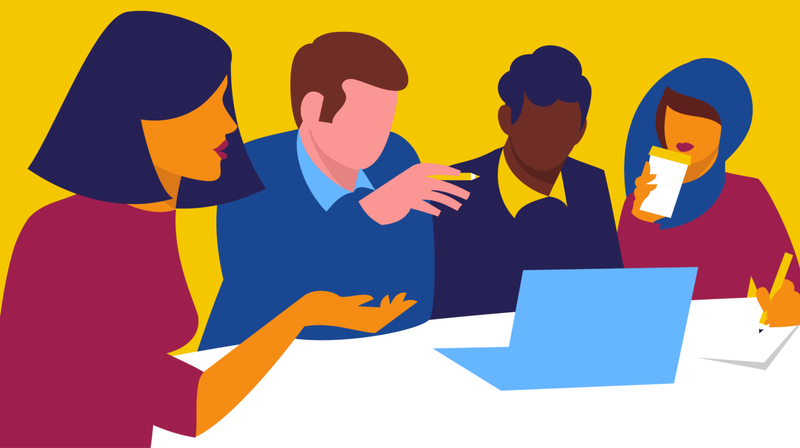 It’s a result of a less open and inclusive culture; a period when difference was feared rather than celebrated for the better outcomes that confident and inclusive teams generate. And he doesn’t want any current or future employees to have the same experience he had – not a single one. We could reel off a list of initiatives and campaigns to show how much more inclusive Siemens has become over the years, but the reality is, despite things having improved immensely, there is far more to be done. “We’re just catching up to being more inclusive towards the LGBTQ+ community,” he says. At the same time society is progressing at a faster pace, this is especially prevalent in Generation Z (those born from the mid-1990s to the early 2000s) – to claim their difference and smash down stereotypes and traditional attitudes. But he is honest. He absolutely does not have all the answers. In fact, he doesn’t even have the right language to sustain a conversation. His personal experiences have taught him how vital it is to work in an atmosphere where you can be comfortable in your own skin. After all, if you can’t be your true self, you can’t be your best. But it also reinforced how crucial diversity is for the success of a company. “Siemens’ customers represent society at large,” he says, “And therefore if we think in a non-inclusive way, we may be designing and creating the wrong innovations, services, and products.” Ultimately, diversity is the key to success at an individual and a company-wide level. Defying categorization and embracing difference – points of view, characters, and experiences – leads to the best ideas. So, over to you. What moves can and must be made in order to spark real and effective change? The conversation has started, Juergen welcomes you to join in. More than 200 years ago the North of England was the birthplace of the original Industrial Revolution. The dramatic shift to adopt new manufacturing processes was spearheaded by the textiles industry in the North West, ship building in the North East, which reached every corner of the globe and steelmaking giving Sheffield a worldwide reputation. 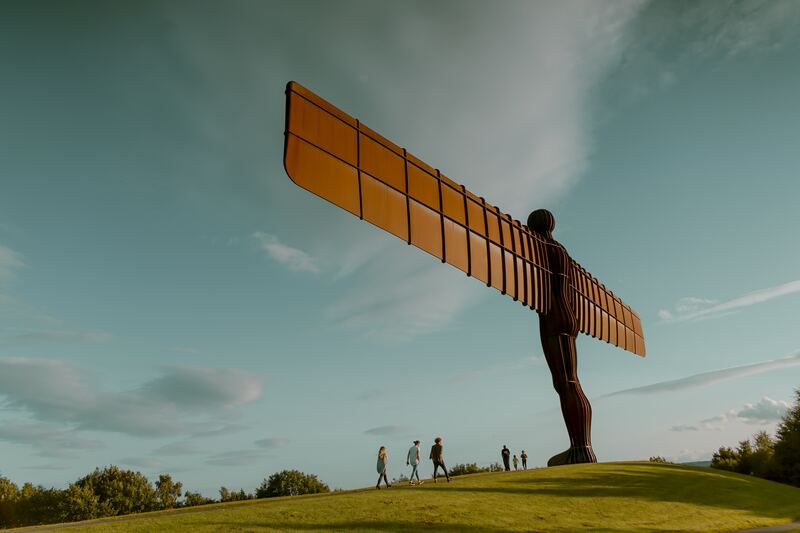 The transformational effect a world-class industry can have on the north was demonstrated during that original Industrial Revolution, as industrial cities saw their population grow tenfold, attracted by the jobs of the future and new emerging specialist industries. It was also this revolution that led Siemens to set up shop in the UK over 170 years ago. Especially because the north became a magnet for innovation – a global beacon of trade – which it must and can do again through the power of new digital technology. And we are very proud to be supporting the Great Exhibition of the North which is taking place this summer. At each of these my message is simple – the north can create and lead a new 21st century industrial revolution and in doing so can be at the forefront of brand new industries and brand new companies. There is no reason why the next tech pioneer, the next Spotify or WhatsApp or industrial Artificial Intelligence leader cannot be created in Sheffield, Leeds, Sunderland, Newcastle or anywhere else in our great region. At Siemens, we’re so confident about this. That’s why we recently opened our second UK digital university innovation lab at Newcastle University. It is tasked with accelerating regional digitalisation, boosting digital skills for graduates – promoting technology and knowledge exchange to meet the needs of an increasingly digitalised society. Many have asked why I am so personally passionate about investing in the north – especially after our recent announcement that we hope to make a second major investment in East Yorkshire, with our proposed train factory in Goole. The reason is simple – we cannot afford to let this wave of change pass the region by, as we allowed in the 70’s and 80’s. And no one will do this for us, not least Westminster or Whitehall. It is leaders in business, education and local politics in the North that must drive this. I spent my youth growing up in Leeds, as it struggled to cope with the effects of ‘de-industrialisation’, followed by a crippling recession in the early 80’s. Too many people were left ill-equipped to deal with the change in industry. So much potential and talent was lost, and the opportunities for a new generation were not created. This failure to adapt and modernise cost the north dearly, and the reason why this new digital industrial revolution is so important is that we must be determined to do a much better job this time around. The unique characteristics of the Northern Powerhouse mean that this region can and must lead this new ‘Made Smarter’ Industrial Revolution. A region of 15 million people, working together across traditional rivalries and boundaries in some of the most vibrant, productive and diverse cities, towns and communities in the UK. So my call to action is for you to spread the word about how much potential our region has in this new digital industrial revolution, and carry this message beyond the business world and into our communities. This is our chance, your chance to create your own Industrial Revolution – underpinned by digital technology, making things again, but much smarter and creating long lasting social value for the north of England. Today we’re announcing the findings of the business led industrial digitalisation review, which has been branded as ‘Made Smarter UK’. Its aim, to set out the basis for how the UK can lead the fourth industrial revolution. The work is the product of eight months work, led by a team of UK CEO’s from businesses large and small and it has been a privilege to lead the work. We have taken contributions from over 200 organisations including our world leading Universities, the CBI, Royal Academy of Engineering and our British R&D Catapult centres. So why is this important, and why now? Firstly, we are at a critical juncture in politics and business. Brexit dominates the agenda and there are increasing uncertainties. The prospect of rising interest rates and inflation haunts consumers. Inward investment is becoming increasingly difficult. Short term challenges threaten to derail how the UK plans for the long term, and invests in the technologies that will help industry and specifically manufacturing thrive over the next two decades. As business leaders we have therefore focused on this very positive and tangible piece of work and not the short term uncertainties. We believe that we desperately need to have a long term economic vision for the country – regardless of Brexit, regardless of political instability and economic volatility. Our review into digitalisation tries to address this need for a UK technology vision. We have concluded that the Government’s industrial strategy will need a red thread of digital running through its core. It will not be about reviving long gone industries but rather it will be about building the new ones, in AI, virtual reality, big data, machine learning, simulation platforms – the merging of creative digital tech and industrial tech. This will form a new vibrant and growing ‘creation sector’; creating digital tech, software, algorithms, digital media, games and many agile digital factories. Our proposals focus on how the UK can use these technologies and strengths to improve productivity, wages and the number of jobs in the economy. Industrial digitalisation could boost UK manufacturing by £455bn, increasing sector growth up to 3% per year; creating a net gain of 175,000 jobs whilst reducing CO2 emissions by 4.5% – and we think there could be a huge growth new jobs and businesses specialising in the new digital technologies of the future. Put simply, the opportunity is huge, and that is why countries across the globe are racing to invest in this new industrial revolution. The UK however is being held back by a history of chronic underinvestment in innovation and skills, so we have identified a series strategic challenges government and industry must overcome. The challenges include the need to increase the speed of adoption of industrial digital technologies, faster innovation of these same technologies, combined with stronger and more ambitious leadership to transform British industry. For adoption we need a stronger national digital ecosystem. Government and industry should create a significantly more visible and effective ecosystem that will accelerate the innovation and diffusion of industrial digital technologies into manufacturing. We are proposing a National Adoption Programme piloted in the North West which as region has inherent technology strengths. Additionally we think we need to up-skilling one million workers to enable digital technologies to be deployed and successfully exploited through a Single Industrial Digitalisation Skills Strategy. To innovate the UK must re-focus the existing innovation landscape by increasing capacity and capability through 12 new ‘Digital Innovation Hubs’, eight large scale demonstrators and five digital research centres focused on developing new technologies part of a new National Innovation Programme. To strengthen leadership, business has called for the creation a national body, the Made Smarter UK (MSUK) Commission, comprising industry, Government, Academia, FE and leading Research and Innovation organisations, responsible for developing the UK as a leader in Industrial Digitalisation Technologies (IDT) and skills. Industry is committed to working in partnership with Government to revive UK manufacturing, and firmly believes that only this combined package of measures, that go beyond business as usual and historical offerings, will achieve the level of ambition needed for the UK to be a world leader of the fourth industrial revolution. Britain made its way in the world by being at the forefront of the first industrial revolution in the 19th century. It capitalised on the second by leading in methods of mass production in the early 20th century. Somehow in the 1970’s we lost our way and missed out on the revolution of automation that countries like Germany embraced much better than we did. Now is the time to leap ahead and fully immerse the UK in digital – that way we won’t miss this fourth industrial revolution and be waiting with baited breath for a fifth. It’s down to today’s innovators and business leaders to get involved; to work in partnership with the public sector to ensure more longer-term thinking, and make sure all businesses invest and innovate to create a digitally led industrial Britain. My call to action to Government and the business community is to come together to embrace these proposals, as something positive we can get behind. Focusing on the long term challenge of embracing this new industrial revolution is vital if Britain is to succeed economically this century. On Thursday last week our head office in the UK was the location for a colourful visit from members of the Munduruku tribe and Greenpeace protesters. The topic of protest, I recognise as an important debate and it is an active debate going on all over the world; How do countries build energy infrastructure to meet an ever higher demand of energy, at the same time making it affordable and with minimum adverse environmental and social impact. 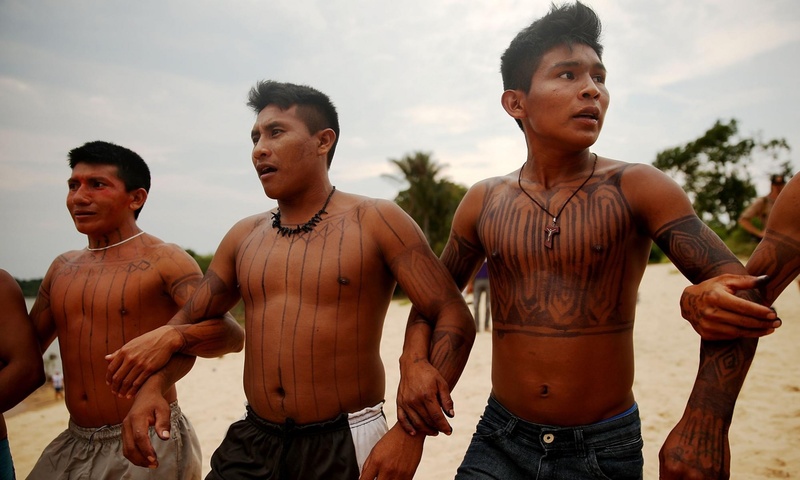 In this case the Munduruku tribe is very understandably concerned about the potential negative environmental impact hydroelectric dam projects in Brazil’s Amazon would have on their environment and community. I was sorry not to be able to make the impromptu meeting with Chief Arnaldo Kabá Munduruku and Greenpeace, but receiving one days notice via an ‘open letter’ in the FT is an unusual way to request a meeting. Had I received a letter or an email I would have made a firm arrangement with them. Contrary to subsequent reports by Greenpeace, two of my senior leadership team were able to change their schedules and were on standby to welcome the visitors. The Chief was an eloquent ambassador for his people and the meeting was conducted on all sides in a very constructive, open and respectful manner. Firstly, let me make clear that I personally and at Siemens, we very much share the same values of environmental protection and care for communities as Greenpeace and it was good that in their meeting with us they recognized and confirmed that. Sustainability is core to Siemens culture and we have been top of the Dow Jones sustainability index since its inception. Secondly, let me also be clear that Siemens is not involved in any hydroelectric power projects in Brazil. In fact, our information is that the mega dam project in question was recently cancelled by the Brazilian Government. For any major infrastructure project, it is always a complex balance between matching human needs for things like access to electricity, more travel and higher energy consumption with the need to protect unique habitat and prevent further pollution of our planet. So, these difficult issues need objective debate supported by facts and scientific evidence of all the options available, enabling Governments to consult with their communities and choose the solution that matches the needs the best and causes the least harm. Unfortunately, I have never seen a major infrastructure project that matches all criteria and everyone’s wishes. Regarding this Greenpeace organised visit I’m afraid, I have to question both the process and balance. What was the real intention of bringing this debate to Siemens in the UK? Of course we will have all identified with the potential risk and felt emotionally touched by the Munduruku tribe and their fear of being displaced. But do we now have a clear view of what the other options are? Would these create even more social displacement or negative environmental impact? Was there enough objective evidence from all sides? We seem to be living in a new world of fast and social media that is mainly focused on sensational headlines and with complex and emotional issues like this debate we need it to be much more thoughtful, rational and fact based. I will certainly continue to listen to experts from all sides of any debate. On this particular one, I thank Greenpeace for providing me their view, but I will not be bullied into a position through headline grabbing campaigns at very short notice. If they’d like to meet me in the future – do just contact me in the normal way!